Some university students are attracted to philosophical nihilism for various reasons, some personal, some from an academic trail they are presently pursuing. It feels cool. I once met a young passionate student who was reading everything he could find written by German philosopher Friedrich Nietzsche, the godfather of contemporary ‘Postmodern’ thought. For him, this resonated with his reality; it was a revelation. But he didn’t realize that there are costs to this outlook or stance. Viennese Psychologist Victor Frankl (Man’s Search for Meaning, p. 152) once wrote: “The existential vacuum which is the mass neurosis of the present time can be described as a private and personal form of nihilism; for nihilism can be defined as the contention that being has no meaning.” Nihilists pride themselves in their realism (dispelling fantasy and cutting through hype), but we want to examine the consequences of nihilism which are often not fully comprehended. Perhaps there is a nihilist hidden deep down in all of us at some level? There is little doubt that we will encounter a nihilist in our journey. Some see it as a logical extension of philosophical naturalism (that we are an empty bubble on the sea of nothingness–J.P. Sartre). Is our university education today leading us to be relativists and ultimately cynics–soft ontological antirealists and epistemological skeptics? Have we lost faith in truth itself? Is it due to the failure of Modernity to deliver on its promises? The cost of this outlook can be high and even grave. Shakespeare’s Insight in the tragedy Hamlet: The tragedy of the bright young Danish prince Hamlet is that he never found his calling in life. He was constantly tortured with inner and interpersonal conflicts, with lies, resentment towards his step-father, disappointment in his mother and self-hatred. His self-hatred was combined with self-righteousness. He could have been a reformer for his world, but instead the kingdom imploded around him, after he had imploded personally, and it all ended in nihilism and death. Immorality, intrigue and corruption lead to collapse of meaning and the end of loyalty, even of his beloved Ophilia and close friends Rosencrantz and Gildenstern. Something indeed is rotten in Denmark. He felt so deeply and painfully cynical and alone in the world. 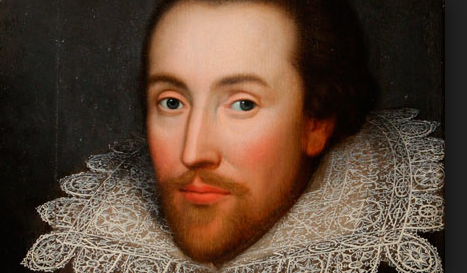 Mel Gibson’s portrayal of the distraught young Hamlet is spellbinding. Why do we so love this play today and resonate with its classic lines such as “To be or not to be?” Perhaps to some degree Hamlet is us at some level in late modernity. We are lost and cannot find our way home. We are trapped and alone. As postmoderns, we don’t know who or what to trust. Here are three points to get us thinking and perhaps re-evaluating our position, perhaps to get us on the journey home. Firstly, cynicism about the good and true is highly corrosive to human relationships and can even hinder the very possibility of long term friendship or marital covenant. Was Foucault right? Is it all just a matter of negotiating power relations or playing the truth games on offer? Reputable psychologists tell us that vulnerability, trust, acceptance and love are all key qualities of intimacy. Yet these very qualities are held suspect by many who are captured by cynicism. Other people are not calculated to be worthy of the vagaries and vulnerability of intimacy. The cynic’s behavioral pattern and attitudinal make-up have a tendency to drive people away (except fellow cynics who join us like Job’s comforters), thus fulfilling the internally driven cyclical philosophy that people don’t really care, and are not worth the effort. Canadian Novelist David Adams Richards reveals something deeply self-righteous about the cynic. Secondly, the cynic can be personally cannibalized by her own cynicism. Sometimes a cynic can feel special, transcending the blind, naive masses. But the addictive nature of cynicism can lead into a kind of psychological slavery. Self-hatred is often as strong as scorn for others, turning the cynic eventually into a handicapped self-despising person. Many students who take nihilism seriously and try to live it consistently tell of experiences where they felt themselves sucked into a spiritual black hole. What was cool and trendy at first eventually became frightening and depressing–a psychological quicksand. Once the cloudy cataract of nihilism settles in the eyes, there is little hope of seeing the beautiful or hopeful, or even allowing them the possibility of authentic existence. Thanatos attitudes begin to dominate the mind and drive the heart as one imbibes more nihilist film and literature, and hangs out with other nihilists, often uncritically, sharing in their rants . Thirdly, cynicism is destructive of one’s potential relationship with God. In the nihilistic worldview, the divine either does not exist or is at the very least absent, unavailable, or irrelevant. Some nihilists even despise God. Nietzsche wrote about trapping the Holy Spirit in the basement and tossing him out the window. However, even someone who claims to have a relationship with God can invite deterioration in that relationship due to the pride and bitterness of cynicism. In this case, God is put on trial ­by the cynic, who is calling God to account for the pain he has suffered, with no real hope of an answer. As we understand the biblical God of theism, this is a formula for alienation, leading to even more intense cynicism. Jesus Christ cannot respond positively to such an attitude. Thus, love not only deteriorates on the human level; it also fractures the relationship between the cynic and God, the cynic refuses to believe that God could care. The tragedy is that the cynic rejects God’s love out of anger and disillusionment, when God may be the only one who can deal with the pain and loneliness at hand. Is it possible that the cynic shoots his own foot? Cynicism can become spiritually poisonous; it kills God in our hearts. The pain of this can run deep in the soul–angst it is sometimes called. The nihilist not only recognizes evil and suffering in the world, but goodness and compassion are tragically trashed at the same time. 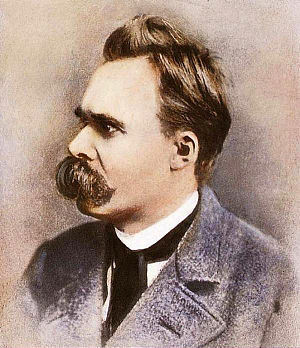 To relativize and embrace good and evil, as Nietzsche did, is a moral and political disaster; it creates an ambivalent cultural dungeon of despair. We believe that students should resist his cynical reductionistic will-to-power answer to life’s big questions. French philosopher/anthropologist René Girard reveals Nietzsche’s dark heritage: the weak and the victim do not matter and should not be protected (I See Satan Fall Like Lightning, 170f). In this sense, nihilism is anti-human, anti-rights: it denies the possibility of significance and close relationships and basic human trust and dignity. Cynics even turn on each other as powerfully depicted in Sartre’s famous play No Exit. If we pay close attention to what kept Victor Frankl alive in his World War II Dachau death camp (Man’s Search for Meaning), it will astonish us. While others perished from daily oppression and despair, he put his hope on transcendence, on seeing his wife again and writing the future book on Logotherapy. It is a theory about the importance to the human soul of the pursuit of substantial meaning, to have hope, even when the whole world is telling you to despair and give up. Trinity Western University Professor Jens Zimmerman argues in his 2012 book Incarnational Humanism for an antidote to contemporary nihilism and cynicism, the real cost and tragedy of Modernity lived without God. The book offers a critical standpoint on reality; it is a substantial academic contribution. He was a visiting speaker at UBC Graduate & Faculty Christian Forum in February 2013 (www.ubcgfcf.com). Zimmerman claims that this humanism offers a long and deep theme in Western civilization (ancient to modern times), informing us of what makes us truly human. He is worth the read in this monumental recovery project. Follow this scholar! For a fuller treatment of this topic, see The Great Escape from Nihilism: recovering our passion in late modernity by Gordon E. Carkner (2016) https://ubcgcu.org/new-book-release-the-great-escape/ Available at Regent, UBC, Chapters-Indigo-Coles on Granville (Local Interest section), Amazon. Ann Voskamp, One Thousand Gifts: “The cynics, they can only speak of the dark, of the obvious, and this is not hard. For all it’s supposed sophistication, it’s cynicism that’s simplistic. In a fallen world, how profound is to see the cracks? See also Dag Hammarskjold, Markings. This is a great man who wrote about his struggle for meaning. « What’s New in 2013?